The question always takes me back to my wayward youth, when some well-meaning family members attempted to indoctrinate me into the world of multi-level marketing. I tried my hand with two different organizations, one for consumer and household products and the other for financial services. I won’t name these organizations because I don’t want to appear to be knocking either. I did and still do believe they provide their clients and customers with good service and superior products. But what that experience taught me was what wise entrepreneurs already know – financial reward may be nice, but it’s a poor choice as source of motivation. First and foremost, you have to like what you do. You must have passion. Wise words indeed. But what was your motivation to embark on this often frustrating and esteem-crushing exercise? Think about the riches that await, the materialistic rewards that will be yours, just like ______________, a former truck driver who went “Triple Nova” (or whatever) in five short years, and now has a $5-million estate in some sunny tropical paradise. This was a fast-food version of entrepreneurship, supported by piles of motivational seminars and audio tapes, and weekend pep rallies. It may work for some, but not for most. Don’t get me wrong — there was value in all of this. It did serve to push people out of their comfort zones, to learn how to talk to groups, to network, to hone presentation skills and to be a salesperson. 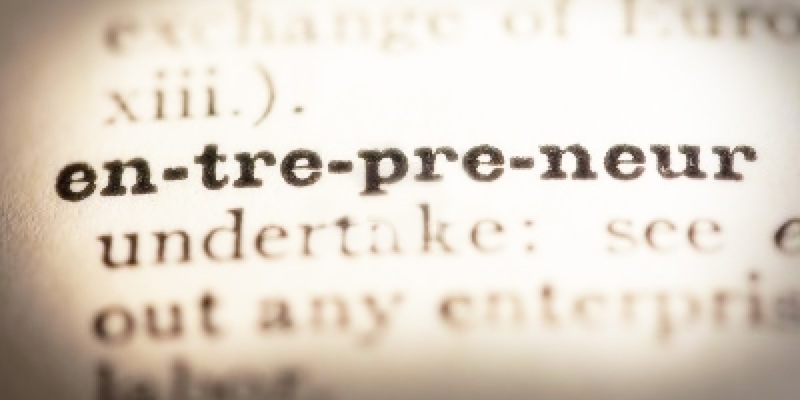 All of these things are critical to being a successful entrepreneur. But the flaw in both organizational philosophies was that focus on the material as a source of motivation. You must enjoy the process of building your business. If you hate the process and what it entails, you are going to burn out long before achieving any financial reward. And let me be clear: there is a distinct difference between the challenge of having to shift out of your comfort zone and hating to have to get out of bed in the morning because of what the day holds for you. If the challenge motivates you to stretch your limits and strive to excel, you’re in a good place. But if you can’t sleep, are regularly agitated, can no longer find pleasure in the little things you enjoy and alienate friends and family with your attitude, then you have a problem. These are the warning signs that indicate you do not enjoy this, that you are not suited for this. No financial or material reward will carry you through the months and years of living this way. You can try to drive through it, but odds are, your attitude will suffer, and any effort undertaken with a negative attitude is likely doomed to a futile end. I have known people who have moonlighted for decades with some kind of side business in addition to their day job, with little or no “success,” however you choose to measure it. Instead, they end up giving only a 50 per cent effort to their day job and to their side business. From a cash-flow perspective, they are in the red, thanks to the time and money spent on those motivational seminars, audiotapes and weekend pep rallies. And yet, they’re still turning to the brochure for that 80-foot yacht as a source of motivation. 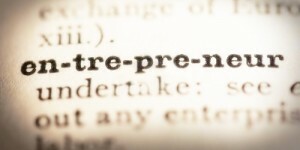 The simple fact is, most people are not cut out to be an entrepreneur. Any venture you undertake requires 100 per cent of your focus and attention. Diverting some of your energy to a Plan B may be considered prudent, or it could be a self-defeating distraction. So ask yourself, are you ready to make a full commitment? Are you jazzed by the thought of being your own boss and building something unique by the sweat of your brow, without a safety net? Most importantly, what is your prime motivator, the source of your passion? If your answer involves fast cars or yachts, piles of cash or red carpets with fashion models, don’t quit your day job. Spend your free time instead with friends, family and some other activity that does provide you with satisfaction and fulfillment. Life is too short to not enjoy what you do. Nice sentiment, but there are a thousand hi-tech guys out there who develop useless tools in the margins in the hope of being picked up Google or some other giant, and a lot of them do. Their colour of passion is green – I’m fairly sure of it. Success is the motivator and unfortunately in this world it is mostly measured in cash. Hrrumph. Thanks for weighing in. But that scenario you outline is somewhat akin to playing the lottery, isn’t it? Given my ambitions as a fiction writer, I compare that the the hordes of hacks who self-publish their knockoffs of Twilight or 50 Shades of Grey in the hope of the big payday. For each even modest success, there are hundreds of failures. Quite often, the focus on a payday comes at the expense of putting in the time required to master the craft in question … or build an actual viable company around the product. Those guys you are talking about I wouldn’t consider entrepreneurs, just opportunists. And while it could be argued that most if not all true entrepreneurs are opportunists, opportunists are not necessarily entrepreneurs.